Make your Holidays sparkle! Jubilant and shimmering, our Goldeneye Brut Rosé will transform any gathering into a joyful celebration. 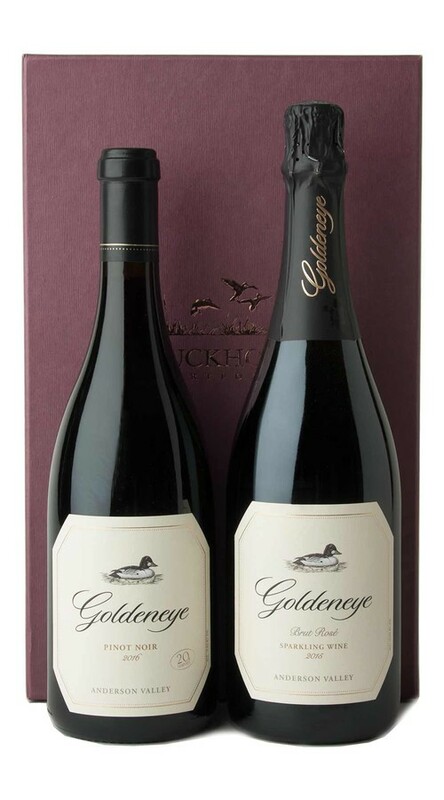 Paired with the rustic elegance of our renowned Anderson Valley Pinot Noir, you have a gift that will be cherished by any wine lover. Presented in an elegant gift box.